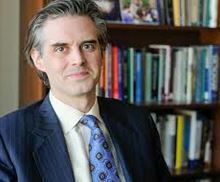 Prof. Doug Guthrie is the dean of the George Washington University School of Business. Of course he is a most accomplished academic but interestingly also an expert on China. Guthrie has sometimes come in for criticism as being too pro-China but we would suggest that he is a business school leader well worth listening to. He has a deep understanding of China’s development and how its culture impacts that development and has bought this knowledge to the School. With the ever-growing importance of the Chinese economy and the country’s increasing political influence, the guidance Prof Guthrie provides should put George Washington University right at the top of the list for business students who truly want to understand China. Not just what is happing in the first tier cities but also how China’s development is creating opportunities right across the country. There is far more to Doug Guthrie than his China expertise but we feel that the Dean’s deep political and economic knowledge of the country is having a real impact.